What is the Chord Number System? Ever wanted to learn music theory? Has a band-mate or musician told you to go to the 4 (or the 5, or the 2, or the 1), and you have no idea what that means? Want to be able to transpose a song to any key without even thinking about it? 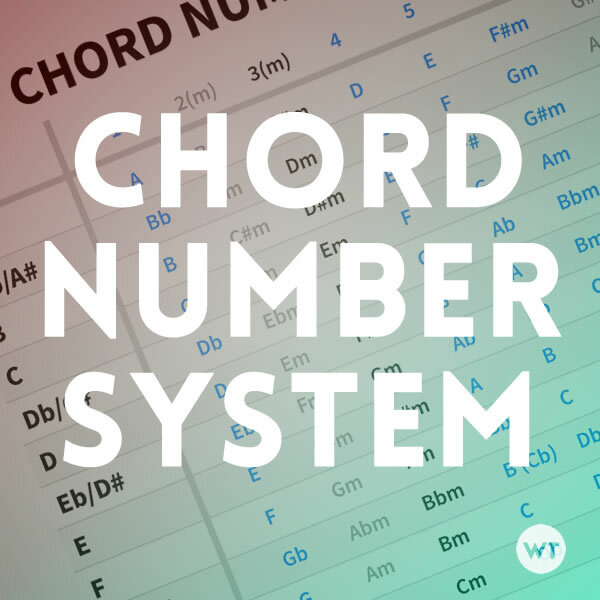 The Chord Number System is for you. When you download the document, you’ll see numbers across the top (one through eight). These represent the chords used in any given key. Typically, the 2, 3 and 6 chords are minors, the 7 is typically a diminished, and the rest are majors. Some chords are used more commonly than others, and these are denoted by color. You’ll see a key signature to the right – this indicated which chords are sharp or flat. If you want to transpose a song from one key to another, simply find the key that the song is in currently (let’s use C for an example). Next, find the key you want to transpose to (let’s say you want to make it higher, so we’ll transpose it to E). It’s that simple – you can transpose any key to any other key you’d like using the chart. If you’re writing a song, and you’re starting out on a G chord, you can try different chord progressions to come up with interesting melodies and changes. The Chord Number System will let you know exactly which chords you can try out that fall into that key.